Come On You Tykes - A Headingley Limited Overs Triumph! A Headingley Limited Overs Triumph! It's hard to decide whether Yorkshire made hard work of their pursuit or whether they timed their run chase to perfection. Either way, the Tykes deservedly advance to the all-familiar territory of quarter finals. Whilst their track record in knockout matches leaves an awful lot to be desired, the team has so much firepower in their batting ranks that someone is always guaranteed to make heaps of runs. Today it was the in-form David Willey who led the way impressively with both bat and ball in a first-class all-rounder performance. Gary Ballance chipped in with a typically mature knock whilst young Tattersall justified his inclusion ahead of Bresnan in the batting order with a crucial half century. The result was in the balance until the 48th over when a six from Brezza took his team up to the chequered flag. Can Yorkshire finally do themselves some justice in a one-day tournament? 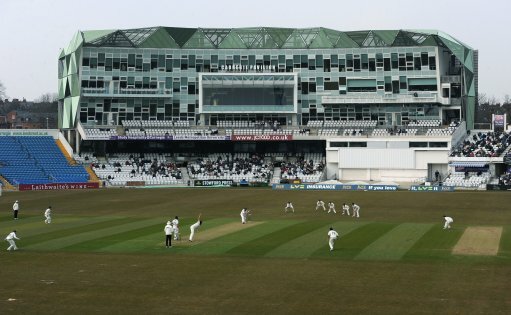 YORKSHIRE versus Northamptonshire; One-Day Cup; at Leeds; Northamptonshire chose to bat. YORKSHIRE win by four wickets and progress to the quarter finals.